A 3D image of the proposed retail park. A ‘store wars’ spat has blown up again in Arbroath after the Co-op joined Asda in objecting to a multi-million pound proposal. Big name national outlets are understood to be lining up a move to units on the site of the old Metal Box factory on Dundee Road. 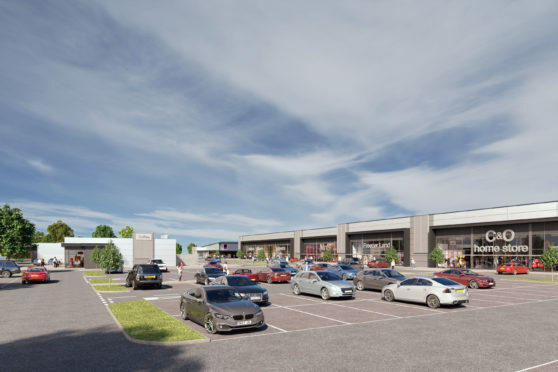 The application submitted by Brackenbrae Investments Limited includes food, non-food and drive-through units to the immediate south-west of the existing Westway retail park where Asda is situated. Graeme Laing, director of North Planning and Development, said its clients Co-op – which has two stores in Arbroath and two in Carnoustie – had “significant concerns with the proposed out of centre retail park”. He said: “The development…would cause significant harm to the vitality and viability of Arbroath and Carnoustie town centres. Mr Laing said the development would also undermine the local development plan strategy for Arbroath and Carnoustie town centres. The Co-op also believes the application would “fundamentally undermine” the site’s employment land allocation, “undermining its attractiveness as an established location for business and industry”. Battle lines were initially drawn after Asda objected to the proposal, saying the development would present a “significant threat” to the town centre’s vitality and viability. Jigsaw Planning objected to the £11m proposal on behalf of Asda and said the impact would be “significant in relative terms given the quantum of retail and the potential for town centre tenants to relocate”. 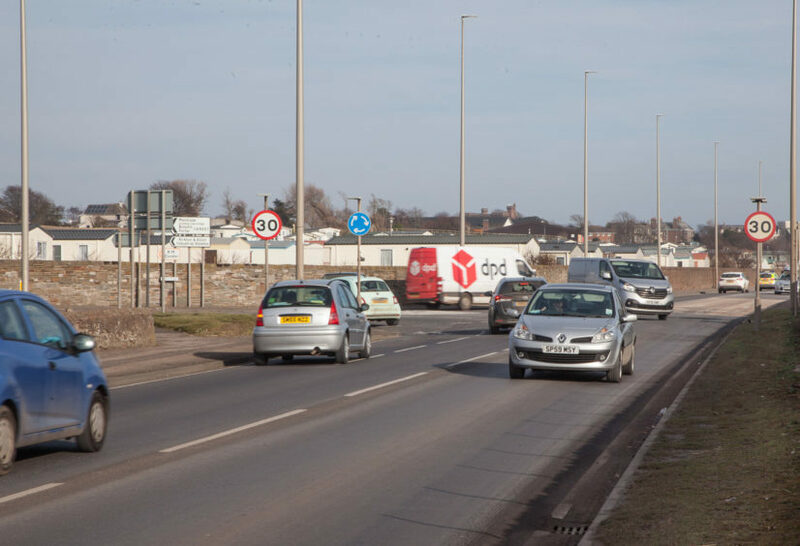 However, Brackenbrae’s consultants Avison Young has defended the impact the development would have on Arbroath town centre. Principal planner Steven Robb said: “In response, we would highlight that a detailed retail impact assessment has been completed in support of the planning application, which was fully informed by a household telephone survey. “This follows best practice as recommended by ‘Town Centres and Retailing Methodologies’ produced for the Scottish Government in 2007. Mr Robb also responded to comments which were made in respect to the figures used to calculate the turnover of the development proposals. He said they were confident the analysis reflected the most likely final occupiers of the units and were considered “entirely robust for the purposes of the retail impact assessment”. “Finally, given the modest level of impact on Arbroath town centre overall (5%), as found by the retail impact assessment, we cannot identify a reason to undertake a sensitivity analysis, as it is readily apparent that the proposals would not have a significant adverse impact on the town centre, as per the tests within the Local Development Plan and SPP,” he said. Avison Young says the project would create a total of 261 jobs once built – contributing £5.79 million to the local economy.